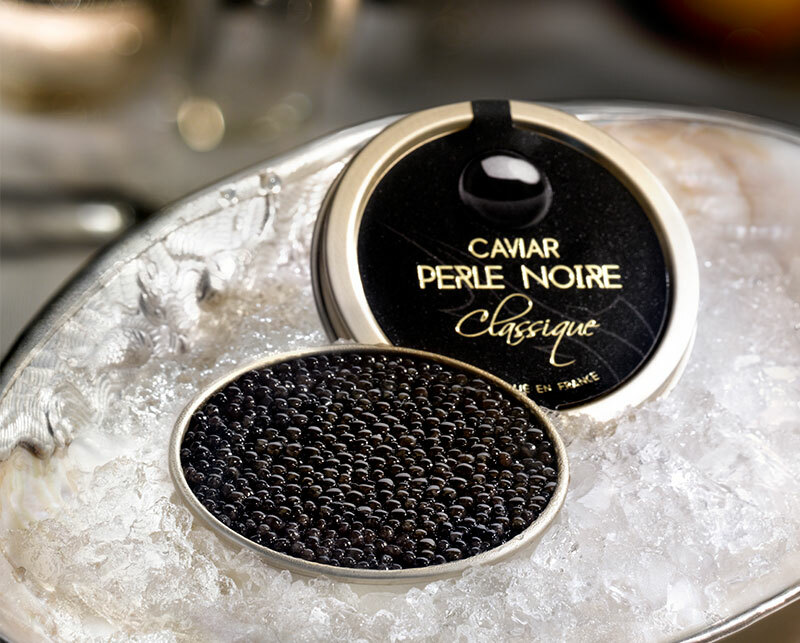 More than a delicacy, Caviar Perle Noire is an invitation to travel and a immersion in a « transatlantic » spirit of the great airlines and shipping companies, a festive family meal, a convivial brunch with friends, a romantic evening for two. 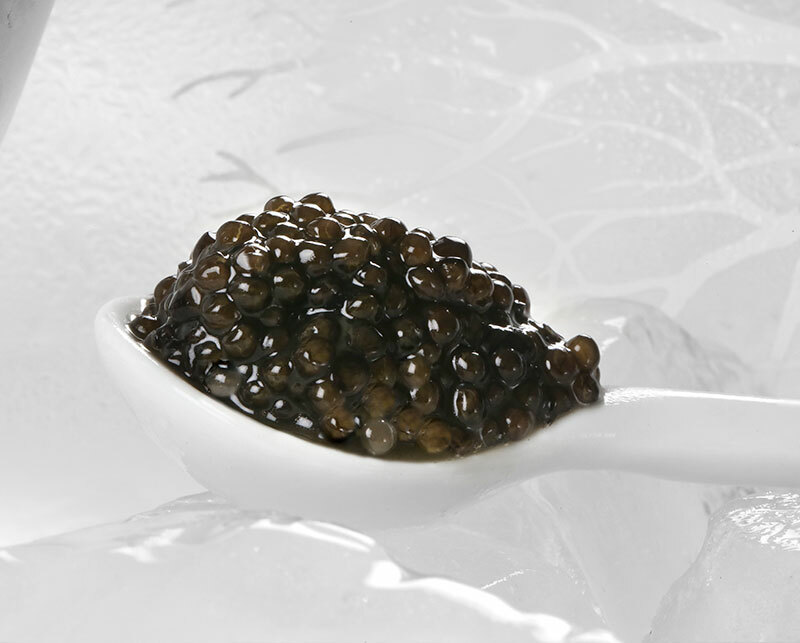 Caviar is preserved in the refrigerator at a temperature between 0 and 6°C. A Best Before Date is mentioned on Caviar Perle Noire tins. Taste qualities may have changed after this date but the product remains consumable for 2 months. Just like a fine win, we recommend to open the tin ten minutes before serving and place it on a bed of ice. Knowing how to taste caviar is important to savour all its subtlety. Enjoy Caviar as it is (recommended quantity: 15 g per person) in a Russian-style or with a spoon (mother-of-pearl, horn, porcelain, even plastic). Brut champagne, white wine, vodka or iodized spirits (rum, whisky) pair well with Caviar. Place the eggs on the tongue and let explode their flavours against your palate. Enjoy this pure moment of pleasure. 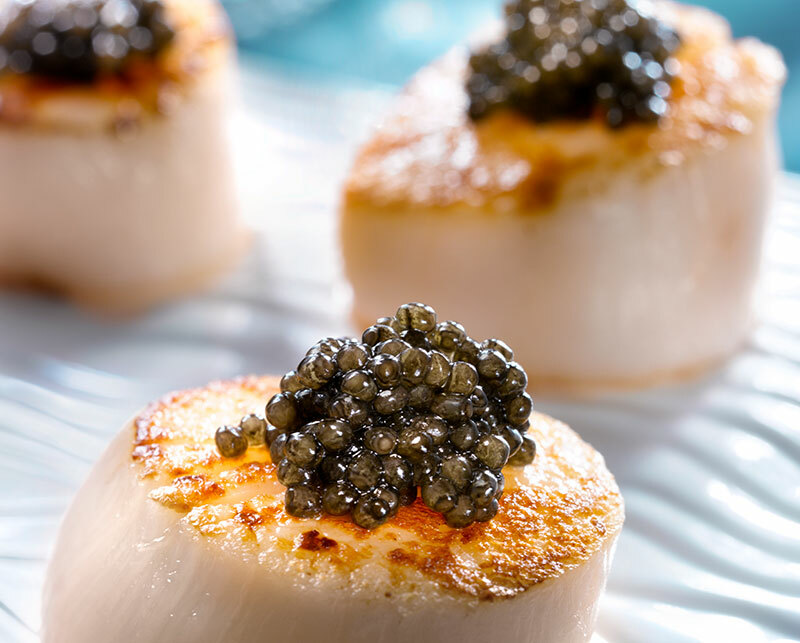 Caviar can also be associated to other neutral delicacies (potatoes, eggs, crème fraîche…) or refined delicacies (scallop, crustaceans). Dressing must be done just before serving in order not to let the caviar warms up. Recipes from Chef Pascal Lombard from “des Glycines”, hotel-restaurant in Eyzies de Tayac will be suggested to you hereunder.